Star Wars: Rebels is right around the corner, and with it comes all new TV spots shown on Disney Channel and Disney XD. A new spot has aired recently focusing on the characters we all know and love, and who have been the heart and soul of the Star Wars franchise since 1977, R2-D2 and C-3PO. Many have speculated on whether or not the famous droid duo would be appearing, but now the question is how much input or screen time they will have. 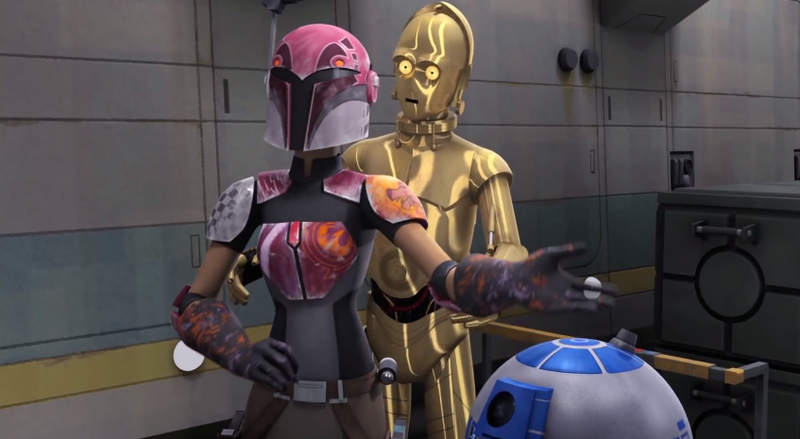 The focus of the series seems to be centered around our new group of renegades: Kanan, Hera, Sabine, Zeb, Ezra and their astromech droid named Chopper, so the chances are high that R2 and 3PO will be making no more than a casual cameo in a single episode. 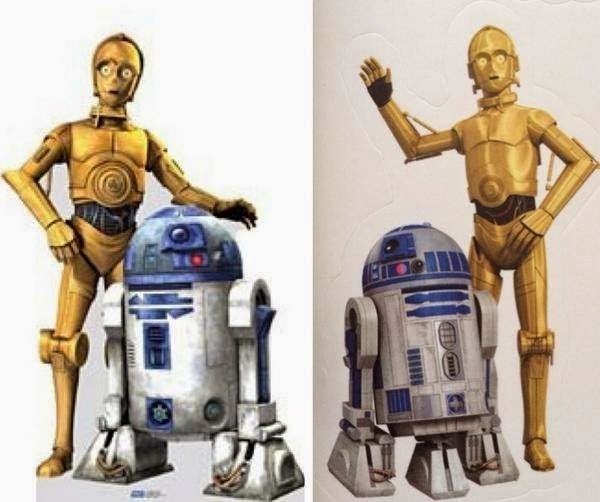 For those who have followed Star Wars: The Clone Wars since 2008, you will notice that R2-D2 and C-3PO look considerably different from their Star Wars: Rebels counterparts. Aside from the obvious differences in animation style choices, Star Wars: Rebels seems to be going more towards a film-accurate portrayal, which is ironic since Star Wars: The Clone Wars was perhaps the most cinematic animated series on television, and hopefully Rebels will follow in its footsteps. For those skeptical of the new series by Disney and Lucasfilm, check out the 3-minute short that was released that conveys how true to the Star Wars name Rebels is staying, and from everything we've seen so far of the upcoming series, it is sure to be a dream come true for both Star Wars fans young and old. Star Wars: Rebels premieres October 3rd on Disney Channel with an hour long special followed by a full series on Disney XD.